Interest in the study of Marx’s thought has shown a revival in recent years, with a number of newly established academic societies, conferences, and journals dedicated to discussing his thought. 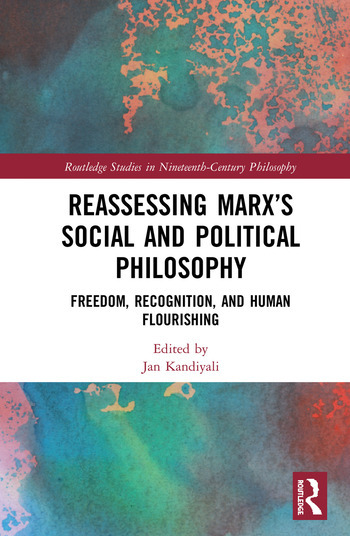 This book brings together distinguished and up-and-coming scholars to provide a major re-evaluation of historical issues in Marx scholarship and to connect Marx’s ideas with fresh debates in contemporary Anglo-American social and political philosophy. Among the topics discussed are Marx’s relationship to his philosophical predecessors—including Hegel, the young Hegelians, and the utopian socialists—his concept of recognition, his critique of liberalism, and his views on the good life. This book will be of interest to scholars and advanced students interested in Marx, Hegel, the history of political thought, and social and political philosophy.